By Kristi Reindl. Media by Bri Phillips. 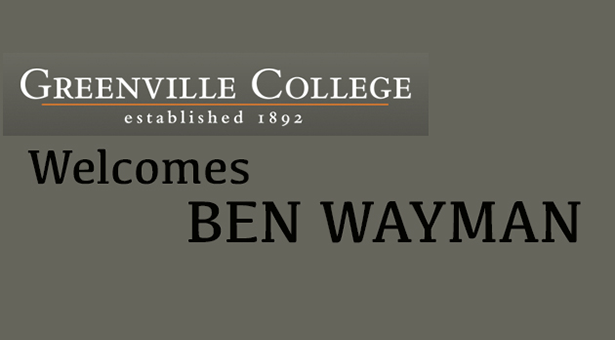 Greenville College will be welcoming Ben Wayman as the assistant professor in the philosophy and religion department this fall. 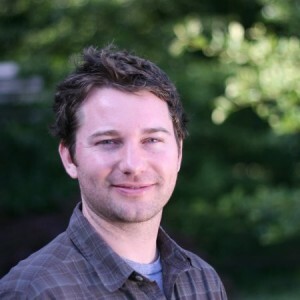 Currently working alongside other clergy at Greenville St. Paul’s Free Methodist Church as pastor of administration and development, Wayman is excited to be taking on this new role in the fall. His parents still live in the same house today, which is only a few blocks from the beach, and Wayman still feels it is home in many ways. He finds joy in visiting and knows it is now home for his kids as well. During his sophomore year, he met Michelle, a freshman, who later became his wife. “On our first date, we raced each other in Mario Kart, drank homemade horchata, and played hacky sack while doing the dishes,” states Wayman. “Clearly she was overwhelmed by my romance.” They married in 2003, the same year Michelle graduated. They left Greenville the following year to attend seminary in North Carolina, believing they were saying goodbye to Greenville forever. However, God had other plans and eventually led them back. Now living just a few blocks from the college with their three young boys, Wayman and his wife are quite happy among the community of Greenville. Life has been relentless, serving him a full plate for the past several years, but Wayman is enjoying it immensely. He trusts that God is leading him one step at a time to the next goal. Though the path is not always clear, Wayman says, “It’s just one decision at a time,” and for the time being, he is looking forward to working with the students and faculty, and seeing how God will move in them.